Newdelhi:10/8/18:Eco-friendly Rakhis are being sold by TRIFED, an autonomous organisation under Ministry of Tribal Affairs. The product has been made available on banner of Tribes India at all its retail outlets and e-commerce portals including tribesindia.com, Amazon, Snapdeal, PayTM and Flipkart. 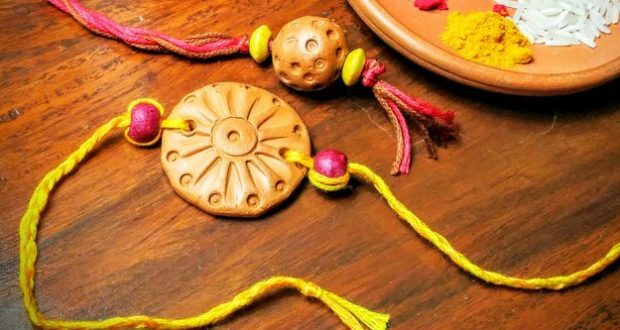 Besides, ethnic clothing meant for Rakshabandhan are also on sale at the specially created ‘Rakhi Counters’ at all outlets and e-commerce portals. Indira Swayam Sahayata Samuh based in Neemuch, Madhya Pradesh, has a long history with Trifed & Tribes India. Ever since the early days both the organizations have been in a symbiotic relationship of give and take. The organization has Bhil tribal women working on bead work jewellery. They have also developed Rakhis which are being sold on various plaftforms of TRIFED.